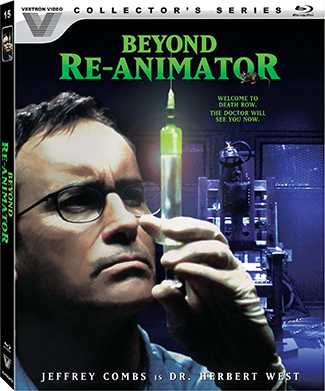 Since he is in prison, he is mostly trying to bring rats back to life, but when another intern doctor comes to help out with his experiments and the warden wants to bring back his love interest, all goes to hell in a prison riot, where the undead are running rampant. The blood and guts are non-stop and the horror-comedy is at an all-time high. Vestron Video delivers new video and audio presentations here along with some new bonus features which are listed out below. This entry was posted on Monday, October 22nd, 2018 at 2:12 pm	and is filed under Film, News, Podcast. You can follow any responses to this entry through the RSS 2.0 feed. You can skip to the end and leave a response. Pinging is currently not allowed.